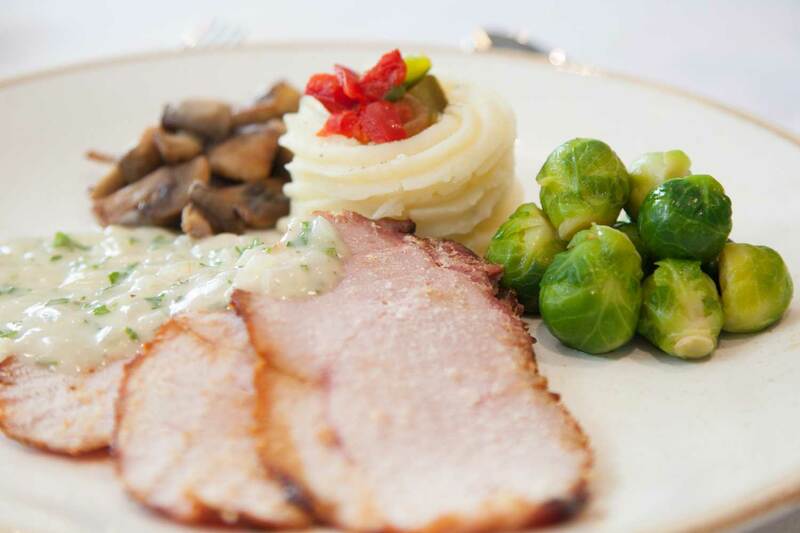 Great Oaks care home in Bournemouth has a designated catering team that promotes the philosophy of using fresh, locally sourced ingredients in its nutrition-rich meals. The wellbeing of residents is a priority and they often spend time in the landscaped garden picking home-grown vegetables, which are later used by the chefs in their favourite dishes. The home has recently introduced ‘A Breath of Fresh Care’ initiative which encourages residents to spend more time outdoors whenever possible. As part of this initiative, residents have the opportunity to tend to the home’s garden and plant their favourite flowers and vegetables. Patrick Fensterseifer, head chef at Great Oaks, explained: “Good nutrition is vital for the health and wellbeing of people with dementia. However, maintaining a healthy weight can be a challenge as many people have difficulties eating and drinking. Not eating enough can lead to weight loss and other linked problems including fatigue, higher risk of infection and less muscle strength. Dehydration is also a risk as people with dementia may be unable to communicate or recognise that they are thirsty, or forget to drink. This can lead to headaches, increased confusion, urinary tract infection and can make the symptoms of dementia worse. Great Oaks has teamed up with Haskins Garden Centre in the past and received a donation of houseplants to the home. Great Oaks has also provided Haskins with complimentary dementia training, which members of the team have benefitted from. Alasdair Urquhart, in-house plant expert at Haskins, added: “With its magic combination of fresh air, light exercise and working with nature, it’s long been known that gardening is good for the soul. For the more senior among us, gardening can also provide a valuable sense of purpose and reward, especially if growing vegetables or brightly coloured flowers. “We think that the flavour and nutrition of vegetables grown in a healthy soil are far superior to supermarket produce. Whilst they may not have the uniformity and size you are used to, you have the freedom to choose the number of varieties you wish to grow. Great Oaks is discreetly located within a private woodland setting which is enhanced by the landscaped garden. Organic seasonal vegetables and herbs that are grown in the garden are used wherever possible to enhance the taste and nutritional value of the dishes. All food is sourced from local suppliers within a five-mile radius, apart from dry goods which comes from Salisbury. The seasonal menus change four times a year for the spring, summer, autumn and winter. The weekly menu offers different choices every day and rotates on a four-week basis. Each resident is given a hot and cold option for breakfast and dinner, with lunch being the main meal of the day; offering three courses each and including three options to choose from for the main course. For more information please visit www.greatoaksbournemouth.co.uk or call 01202 087444 to speak to a member of the team.